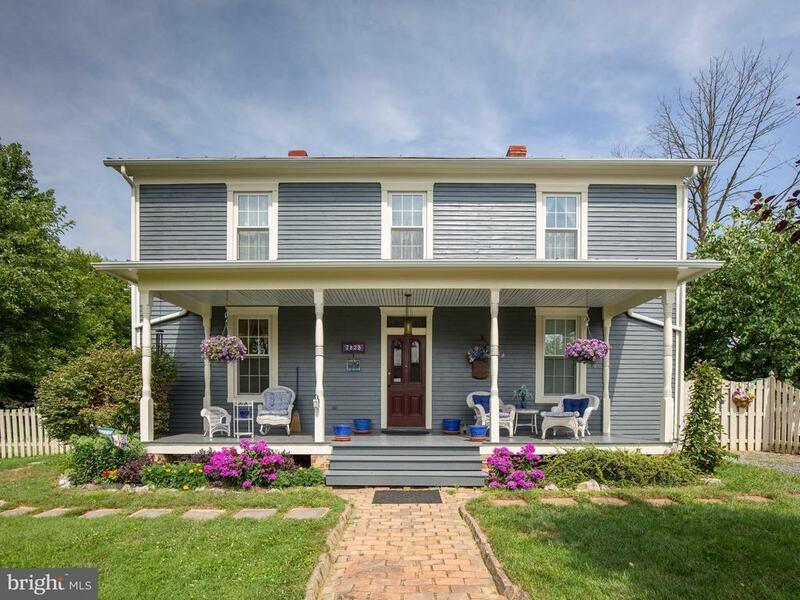 Circa 1900 Colonial with surprisingly spacious interior with original woodwork and wood floors. Center Hall floorplan, with mainfloor bedroom and full bath. Huge eat-in kitchen with lots of storage opens to covered side porch and large flat side yard for entertaining or sports and games. Detached garage has floored storage or studio space. Easy access to I-81, Rte 66.